Get fit professionally at Fit2Run, The Runner's Superstore, for a wide range of name brand athletic walking and running footwear, technical running apparel and accessories like performance eyewear, tech socks and GPS wrist personal trainers. Get a complimentary Videotaped Gait Analysis to determine the most appropriate shoe for your specific foot type and style of running or walking. Step onto the iStep System that instantly identifies your foot type, pressure points and shoe size, and then recommends the ideal orthotics and footwear based on your feet. Test shoes on Fit2Run's indoor track. Participate in the Fun2Runs, free weekly fun runs with themed nights, parties, clinics, nutrition samplings and more! Train2Run in one of Fit2Run's training programs. Programs for all levels are available. 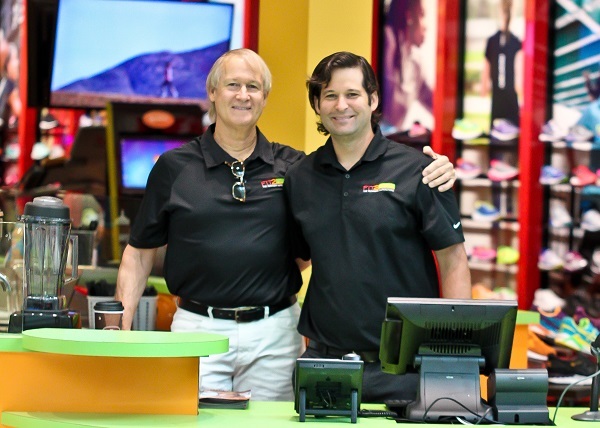 Fit2Run's trained and knowledgeable staff is committed to providing exceptional customer service.